Activities Training course "Green ID"
Green ID is a training course, where youth workers will join with the purpose of improving the quality of their work in the field of environmental education for youth. During the training course participants will discover new tools and methods that they can use to raise awareness about the need to protect the environment. 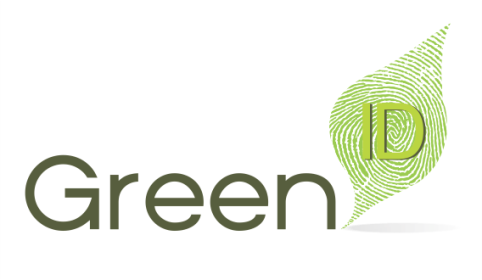 Green ID TC is also design to increase the connection of the participants with nature, to get them more motivated and open to adopt sustainable practices and to promote it in their work. The purpose of the activity was focus on the understanding of phenomena and the mechanism of the greenhouse effect, global warming and climate change. The participants were divided into 4 groups and then were asked to explain the cause of climate change. The trainer provided a definition of the greenhouse effect, after which the participants had to put on stage a small demonstration of how the greenhouse effect works. This activity can be considered a method where young people can understand the greenhouse effect and its consequences on human life. There were also debated terms like "climate change" global warming "and" greenhouse gases ". At the end of the activity, the following questions were used for feedback: Do you think young people can use this method? Did you find it self-explanatory and easy to understand and apply? For this activity participants were divided into 4 groups and each of the group received an object – a notebook, a can, a plastic bottle. They had 10 minutes to think of a story in which the object is the main character and also to imagine the object history: past, present and future. This method involved techniques such as story telling and presentation. Both of the methods aimed to raise the participants awareness of the impact that man has on nature through the things that he uses in his entire existence. To conclude, the questions used at the end of the activity were: Have you ever thought about the manufacturing process of the objects you used daily? Certain stages of this process have an impact on climate change? How? Do you think they can be replaced? Why doesn't everybody adopt such methods if they can? Did you learn something that you want to share with the others? The purpose of this activity was to raise awareness presence of nature in the human life. Using the story telling technique and Playback Theater, each participant received an object and was asked to relate a positive or negative experience that has influenced him and the objects supposed to be in the center of the story. Then, the story had to be put on stage by the other participants. The participants were asked: If it was hard to find a relevant moment to be shared? If they believe that nature plays an important role in their lives? What about in the life of the others? Has nature changed in the past years? In what way? The purpose of this activity which involves teamwork, was to raise awareness about the balance of nature and the fact that everything humans do affects this balance. For this activity participants were asked to choose two persons from the group (preferably not the same persons they usually choose), but without telling them they are chosen. Each of the participants had to be placed at an equal distance between the people they chose. He has to keep the distance without telling the other persons that he is the reference point. At the end of the activity, participants were asked: how did they feel during this activity? It was hard to follow the rules of the activity? Did they realize that they were the reference point of other participants? Have they tried to help the others once they realized? If yes, why? If not, why? Talk about individualism and how it affects the environment. The purpose of the actives was to introduce to the participants the concept of "ecological footprint" and making them understand the impact of personal behavior on nature. · - 150-350 points, the Ecological Footprint was between 4.0 hectares and 6.0 hectares. · - more than 750 points, the Ecological Footprint was greater than 10.0 hectares. Once individual scores calculated we are conclude, that there are only 2.1 global hectares (5.3 acres) of bioproductive land available per person on the Earth. And if all people would use more then we need more land to sustain all of us. This work was completed with the discussion on the following questions: How did you feel morning forward or staying behind? What behavior would you change and what did you want to keep? Why is it possible to change some behaviors and some not? It is a choice or a necessity to reduce your ecological footprint? What are you willing to give up? Or what can you change? Where should we stand in the end? Do you believe that it would be useful to do this activity with the youngsters you work with? When? Should be adapted? If yes, how? The purpose of this activity is to increase environmental responsibility in our organizational partners. The trainer will guide the participants to imagine a day at the office and to make a list of the objects they use, throw or recycle. In groups of 3 participants they will have to make a collection of objects / materials that they usually use at meetings. Starting from this they will have to find some environmental friendly rules that can be easily used in organizations where they are coming from. The results from the discussion will be presented to the whole group. The questions at the end of the activity: Why are not adopted these rules in all offices? Do you think these rules are hard to adopt? Once you arrived home do you think your colleagues will adopt these rules? 7. Letters from the Past, How do you inspire the next generation? The purpose of this activity was to increase awareness among young people about the fact that there are people and animals suffering from climate change. Through techniques, such as story and presentation, participants were divided into 4 groups and for each group were assigned a color. Participants were told that they living in European countries sometime in 2050. In their home suddenly found a piece of a letter that looks very old. Each group received a piece of a letter. It is a letter from the past! They now have to find the rest of the letter which is hidden somewhere in the space that surrounds them. When they have found the entire letter with the designated color they will return to the large group. All letters will be read. They are lucky because 2050 was invented a machine that can lead them back to 2012, but not earlier. Thus, they can come back in 2012 and may have the opportunity to help the characters in the story. Reducing carbon emissions will not help them at this stage. The stories will find many indications of how they can help. Groups now have to think about measures that can help the people in their stories and what they can do to ensure that that will be done. They need to do a visual representation using the materials around them or collage using newspapers and magazines representing a response to a letter that tells them the plans. Also, this activity has released a number of questions which have been under discussion: What do they think about writing? How did they feel? What were the ideas to help the characters in the letters? Do they think that is realistic? What are the obstacles in putting them into practice?